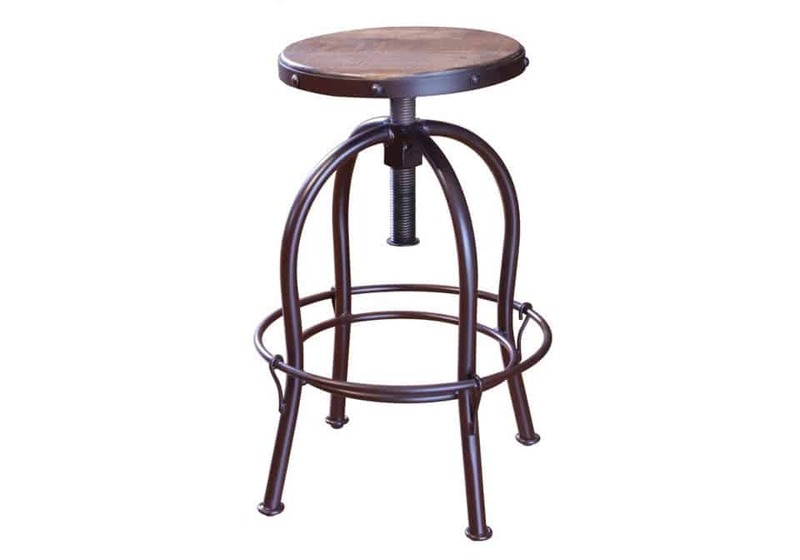 This antique counter-height stool will liven up your casual dining or gathering area. With a multicolor wood grain seat and an industrial iron base, this piece exudes rustic charm. The seat adjusts from a 24-inch height to a 30-inch height, so you can sit comfortably at any bar or counter height table. The seat also swivels so you can turn around with ease.